JOIN OPERA ATELIER IN TORONTO! As Canada’s largest city, Toronto is a global business, entertainment and tourism hub, famous for its progressiveness and diversity. 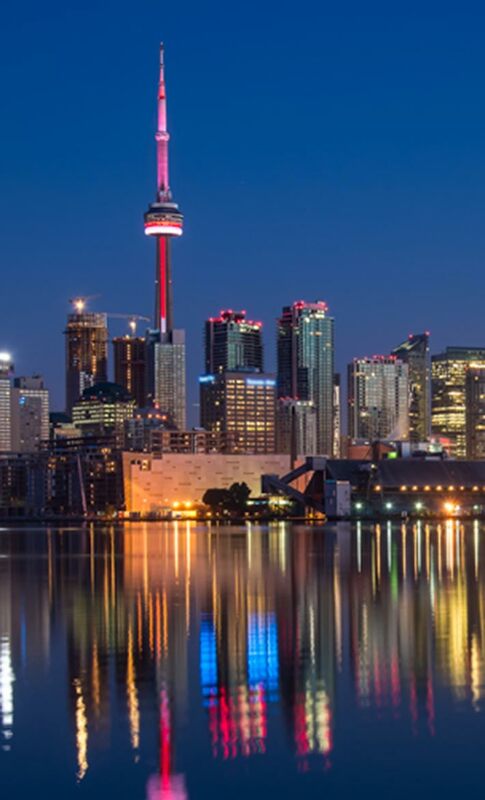 A visit to Toronto is an invitation to discover an endless array of culinary delights, architectural marvels, vibrant neighbourhoods, and world-class attractions. We’re delighted you’re here, and pleased to recommend places to stay and places to dine during your visit. 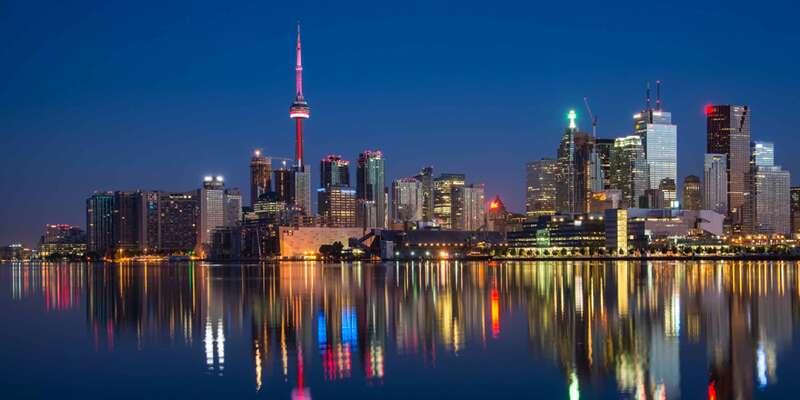 For more information on our city, please visit See Toronto Now. 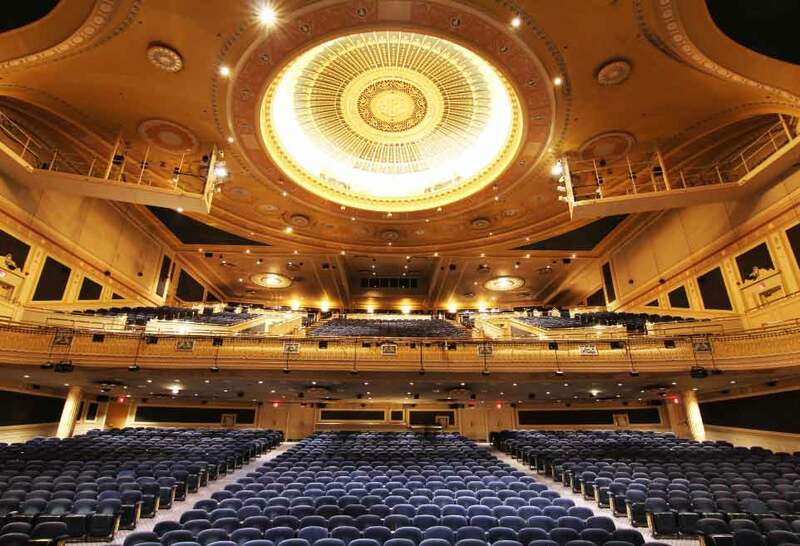 Opera Atelier is honoured to perform in some of Toronto’s best theatres. The Ed Mirvish Theatre box office and main entrance are at 244 Victoria Street. Patrons who might have difficulty using stairs should come to the Victoria Street entrance, where there is an elevator to the orchestra level. On the TTC, the Ed Mirvish Theatre is just south of the Dundas Subway stop, on the Yonge Street line. It is also just a short walk north of the Queen stop. There is a new indoor Green P lot in the new wing of St. Michael's Hospital, entrance on the east side of Victoria Street, just 1/2 block north of Shuter Street and 1/2 block south of the Victoria Street entrance to the theatre. This is also a Green P lot on the south side of Queen Street, just east of Victoria Street (opposite St. Michael’s Hospital), entrance on Queen Street. There is also ample parking available at the Atrium Mall, entering off Edward Street (1/2 block north of Dundas), from either Bay Street or Yonge Street; at the Green P underground lot beneath Dundas Square, with garage entrance at Dundas and Victoria; and at the Eaton Centre parking lot, with entrance off Yonge at Shuter, just southwest of the theatre. There is also a surface parking lot on Victoria, just across the street from the theatre. Finally, there is some meter parking on Victoria Street. The Ed Mirvish is a two-level theatre, with orchestra and mezzanine seating. The orchestra is on the second floor of the building, one storey above street level. There is an elevator at the box office entrance, 244 Victoria Street, that goes from street to orchestra level. The mezzanine, however, has no elevator service; wheelchair seating is available on the orchestra level only. Patrons seeking wheelchair or other special-needs seating are asked to please call TicketKing at either 416.872.1212 or 1.800.461.3333 for assistance in finding the best seating options. 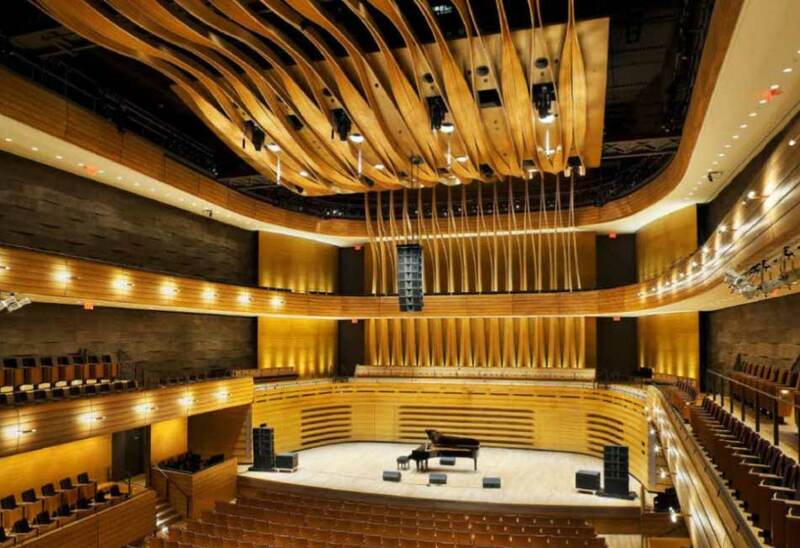 The Ed Mirvish Theatre is equipped with infra-red listening systems. These systems require use of headsets which are available, free of charge, at the theatre coat-check counters. There are two types of headsets available, the "stethoscope" style for people who don't use hearing aids and the "neck loop" for use with a hearing aid (with the aid switched to the 'T' position). "Stethoscope" headsets require no advance reservation. Patrons requiring the "neck loop" are asked to call the theatre at 416.593.0351, ext. 331, or to email hwatson@mirvish.com, in order to reserve a headset as there are limited numbers. Patrons borrowing headsets will be asked to leave a piece of photo ID or credit card (as a form of security deposit) which will be given back when the undamaged headset is returned, following the performance. A boutique hotel with intimate surroundings in the heart of Canada's Downtown, conveniently located just down the street from the Ed Mirvish Theatre. Enjoy upscale accommodations at this luxury hotel in the heart of downtown. The Omni King Edward Hotel provides lavish surroundings and many modern conveniences. Luxury Downtown Toronto hotel, steeped in history, is right in the heart of the city, steps away from the best nightlife, dining and shopping. Toronto is home to hundreds of airbnbs! Wonderful restaurants surround the Ed Mirvish Theatre for a pre-show meal or post-show cocktail, here are a few to tempt you. Fine-dining go-to for Italian dishes, with an arched ceiling, back patio & 1,500-label wine list. Pre- & post-theater option at the Pantages Hotel offering contemporary Canadian plates & cocktails. 1940s-style diner with jazz-inspired decor, offering breakfast & classic comfort-food dishes. Contemporary chain known for their Bellinis, featuring twists on typical bar & grill offerings. For lovers of fine dining and music. Originally an art form for a privileged few, opera has evolved into an international multi-media crowd pleaser. Feel free to dress up and make a night of the experience, or down and immerse yourself fully in the production in the comfort of your favourite jeans. Out of respect for our performers and the audience, those who arrive after the lights have gone down in the theatre will be seated when there is an appropriate break in the performance. Remember to turn off your phone when you enter the theatre and keep it out of sight to prevent distracting the artists and those around you from the performance. Sound, image and video recording of any kind is not permitted in the theatre.